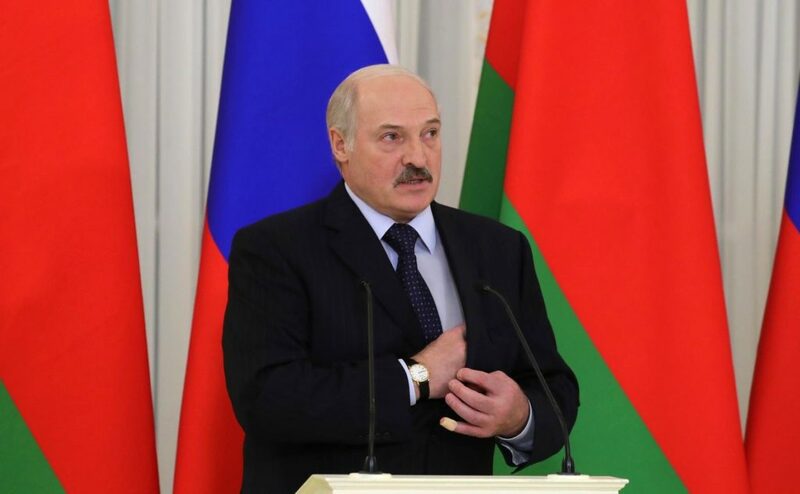 President Lukashenko’s program of turning Belarus into a technology hub started with a presidential executive order On Digital Economy Development. The document became effective on March 28, 2018 and was aimed at establishing a Hi-Tech Park to become the main ground for launching startups and attracting foreign investors. An efficient performance of the High Tech Park Belarus can now be acknowledged. This year saw a dramatic surge in the number of companies joining the Hi-Tech Park. In September, a new design center of the world’s major chips manufacturer, Korea’s SK Hynix (SK Hynix is part of SK Group which accounts for about one half of the Group’s capitalization and generated about $30 bln last year), was launched in the Hi-Tech Park. That was the first substantial investment of Korean businesses at the Belarusian IT market. The statistic data available also confirms the Hi-Tech Park’ efficiency. In 2017, for instance, some $191 mio of foreign investments were attracted which constitutes a 13% growth against 2016. The Hi-Tech Park’s 2017 exports reached their historical record of $1 bln and demonstrated a 25% growth compared to 2016. At the moment, there are 292 residents in the Hi-Tech Park with over 32,000 employees in the aggregate. Over the past year, 5,160 new jobs were created in the HTP, and more than 1,800 graduates of Belarusian universities came to work there. Last April, Google and the Hi-Tech Park reached an agreement to jointly promote manufacturing residents of the Park. The decision was made following a meeting between Vsevolod Yanchevsky, Director of the Hi-Tech Park Administration, and Goetz Trillhaas, Google’s Country Manager for New Markets in Central/Eastern Europe. In August 2017 Google acquired AIMatter, a Belarusian IT company operating in the area of AI and an HTP resident. Google was interested in technologies and developments of the team, specifically in a mobile application Fabby which is a technology of separating a person from a background in videos with a possibility to change the background. General Electric and the HTP also have joint plans of implementing innovative solutions. The interest of the corporation towards the HTP is certainly due to the executive order On Digital Economy Development. The state in general has been actively supporting national economy’s digitalization. In March, for example, Council for Digital Economy Development was set up and the President ordered to review an option of establishing in 2018 the Digital Economy Ministry. A recent appointment of Konstantin Shulgan as Communications and Informatization Minister evidences the intention of the state to seriously develop digitalization in key sectors of the national economy (between 1989 and 1995 Konstantin Shulgan held various positions at the State Center for Information Security under the Defense Ministry; between 2008 and 2013 he worked at the Strategic Analysis Center under the President; in April 2016 he was appointed Deputy Director of the Center). The state intends to establish a thinktank (i.e. the Ministry) to promote national economy’s development. In June, President Lukashenko signed an executive order on the program’s implementation measures. It detailed the norms on developing education, supporting startups and training professionals for the national IT sector. The Hi-Tech Park Administration is now authorized to submit to the government draft laws on the Hi-Tech Park’s operation, while its Supervisory Board can set criteria for selecting HTP’s residents, business projects and procedures of their implementation. It should be noted that Belarus was the first country which introduced into its laws a legal concept of smart contracts as instruments for accomplishing deals by means of an automatically executed code. The performance of such contracts has been tested at the Hi-Tech Park, and the National Bank of the Republic of Belarus has also demonstrated its interest. The National Bank intends to actively employ smart contracts in banking. For that purpose, addenda to the executive order On Digital Banking Technologies Development were drafted to specify that the National Bank and other banks are authorized to make banking and financial transactions by means of smart contracts. The addenda are expected to be enacted by the yearend. Besides, last March the Finance Ministry approved a national accounting and reporting standard entitled Digital Characters (Tokens). Belarus thus recognized circulation and taxation of tokens as proprietary items. It is therefore evident that Belarus is making consistent efforts of developing a solid legal terrain for cryptocurrencies’ regulation. Potentially, the market can expand beyond the HTP to make the country an international center of cryptoeconomy within the next two to three years. The government already accepts cryptocurrencies’ circulation in the country in case their projects are successfully implemented in the HTP. So far, there are not too many projects in the HTP that involve blockchain technology and digital currencies. But in case legislative amendments and measures are enacted, the number of such projects may rapidly grow by the end of 2018. The National Bank’s support may become a serious driving force for the blockchain technology development, as it will attract numerous innovative fin-tech projects. Therefore, a positive dynamics is now observed in the development of the Hi-Tech Park and current legislation, which will accelerate development of blockchain projects and cryptocurrencies’ market in Belarus.